Modern industrial production, storage, and distribution would be impossible without the extensive use of refrigeration. Ammonia (NH3) has long been the prevalent refrigerant in industrial refrigeration due to its high degree of efficiency, low environmental impact, and affordability. Ammonia is commonly used in food processing facilities, dairies, breweries, meat processing plants and cold storage warehouses, where a large cooling demand is required. Ammonia is a cost-effective and efficient refrigerant. The only drawback is its classification as a poisonous refrigerant that in case of leakage can be harmful to personnel and the food items that the refrigeration system was designed to protect. The risk of leaks arises from many different sources, ranging from inadequate operating procedures or lack of training to failures in piping, welds or poor maintenance. Due to its classification as a poisonous gas, design, construction and operation of ammonia refrigeration systems are governed by strict standards. Early-warning detection devices, efficient ventilation systems, emergency switch-off systems are among the typical measures implemented to limit the risk during operation. But the risk of leakage can also be reduced in the design of the refrigeration system. Placing ammonia refrigeration equipment in separate rooms and with vapor-tight separations are basic design parameters. Considering that quite a few leakages result from poor welding, the weld quality or reducing the number of field welds can also be an effective measure to prevent leaks. In most processing applications, combined ammonia and CO2 refrigeration in cascading systems can improve both plant safety and efficiency. The use of the two natural refrigerants working side by side combines the advantages of both and greatly reduces the ammonia charge. The single most important advantage of using combined CO2 and ammonia solutions is to achieve maximum personnel and food safety. 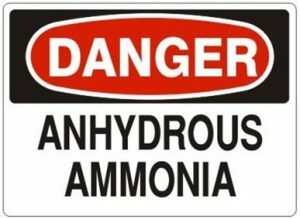 In cascade systems, the ammonia charge is reduced significantly and confined to the machinery room, which reduces the safety risk. The sturdy valve stations are built to withstand the high working pressure in cascade solutions, up to 52 bar, and the risk of ammonia blow-out is very limited. TAGS: safety at the workplace, safety, machine safety. safe, ice machine, ice plant, china ice machine, tube ice machine, cube ice machine, flake ice machine, plate ice machine, block ice machine.